There's a lot of rich information in the Comments Bar. 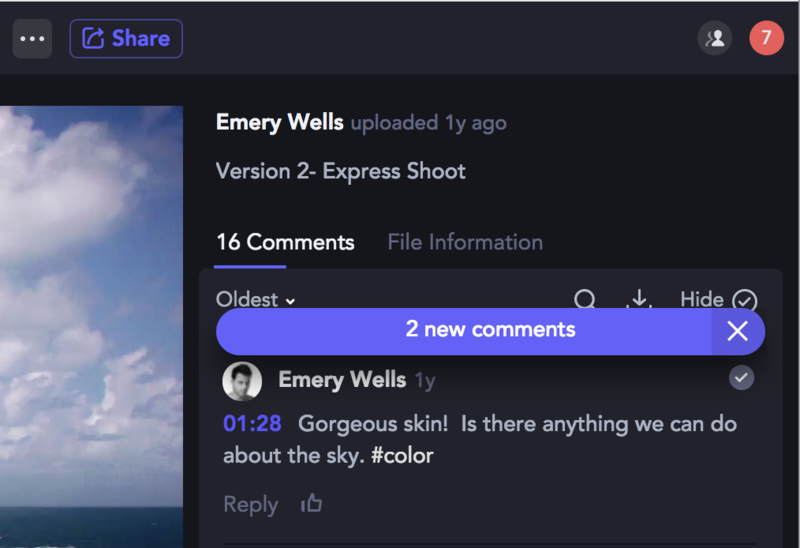 At the top, see the total number of comments, the ability to download comments, sort the comments and also the option to hide/show completed comments. When clicking the number of New Comments, it will scroll down to the first comment you need to see. 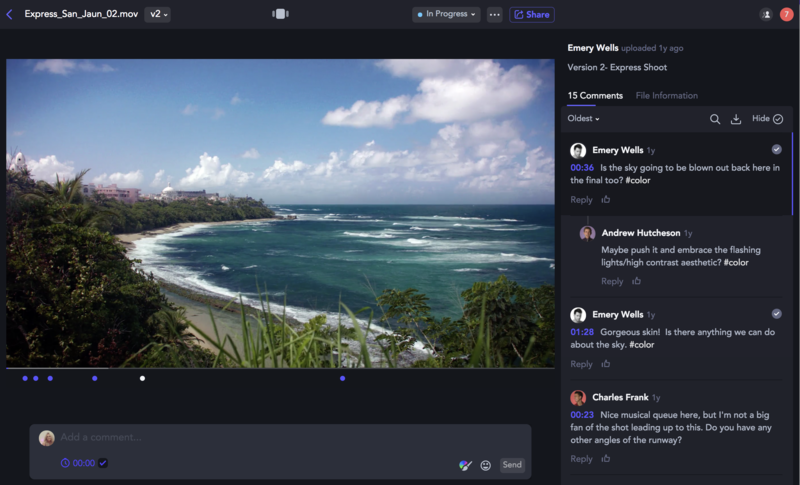 All of the comments are live so when you click on one, it will take you directly to that frame as well as any annotation. The paint brush icon indicates the comment has an annotation (drawing) on it. Mark a comment as completed by clicking on the circle. Then you can hide the comments, or also show only completed comments. Organize comments by department with a hashtag. 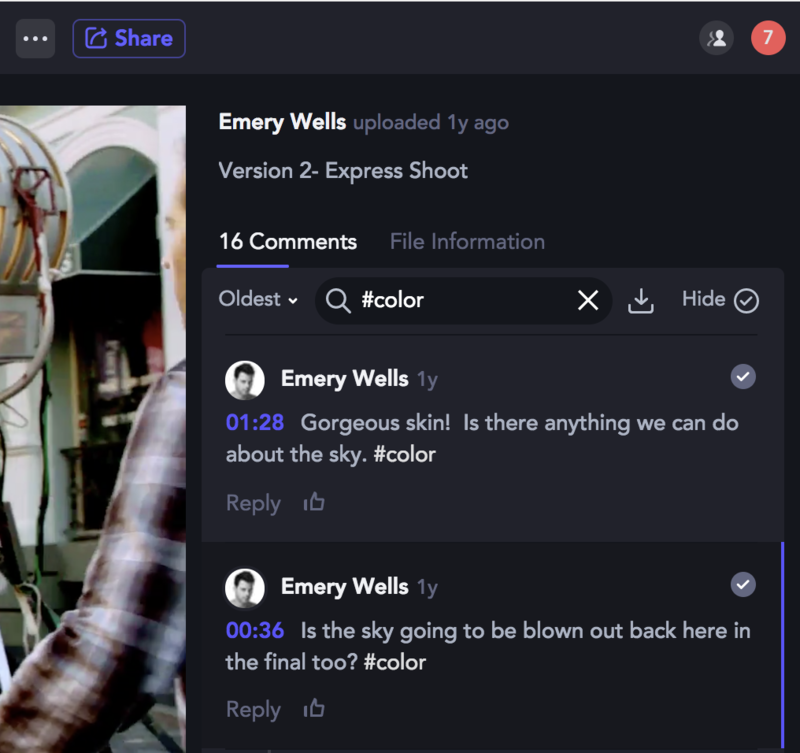 This is a great way to sort comments for your different departments: color, vfx, vo, edit, legal, etc. Clicking a hashtag will filter the other comments with those hashtags. You can also search throughout the comments by person or by information in the comments. Socially thumbs up the comment or even reply directly to the comment. Team Members have the ability to delete any comment, while Collaborators can only edit/delete their own comments.